Apparently everyone in the music industry has been a buzz the past few weeks over this demo from London’s The Vaccines. So much so that attempts were made to keep the band and it’s members a mystery so as not to fall victim to the hype mill. With a little Beach Boys, The Ramones and The Jesus and Mary Chain influences all mixed up they’ve got themselves quite a catchy concoction of vintage rock and roll goodness going on. Will they be a one track wonder or the real deal? We’ll have to wait and see. 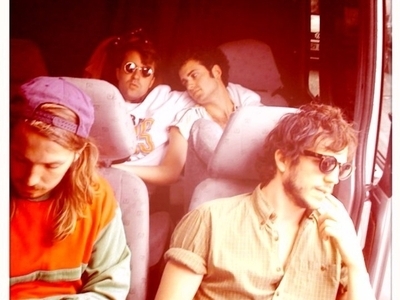 This entry was posted in Spanking New Music and tagged if you wanna, the vaccines. Bookmark the permalink. Thanks for posting this. What a tune. Posting about them myself now. It’s good to see that you jumped on The Vaccines, the hype machine is in full flow….